After arriving at the Mahe international airport, you are welcomed by our tour representative in this tropical paradise. He offers you an assisted transfer to the hotel. The largest island in Seychelles, Mahe Island has natural beauty in abundance and houses an array of flora and fauna species. 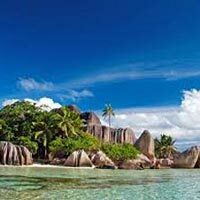 The capital of Seychelles, Victoria, is also placed on the island and so it is one of the most developed places here, offering memorable holidays to honeymooners and an adventure vacation to adventure seekers. After you are done with the check-in formalities, the rest of the day is at leisure. You can either relax at the hotel while enjoying its facilities or can head out on your own to explore the sandy beaches of Mahe. Indulge in the activities of your interest. Day 2 of the tour is at leisure. The northern region of the island has been blessed with stunning scenery in abundance. Renting a cab for a roundtrip in the island can be an option. You can enjoy a drive through panoramic bays, up till the Sand Souci via verdant tea plantation, finally inclining to Victoria, the capital city. Visiting the Botanical Garden would also be a great idea. Placed on Victoria's outskirts in Mount Fleuri, this garden is around a century old. This beautifully maintained garden spreads on 5 acres of land and has a vast collection of endemic and exotic plants. The garden also has some rare species of fruit and spice tree, only seen here. Another highlight is the decent population of the island's giant tortoise wherein some are even 150 years old. Make it a point to visit the orchid house housing native bright-colored orchids of Seychelles. Spend the day as per your own liking. 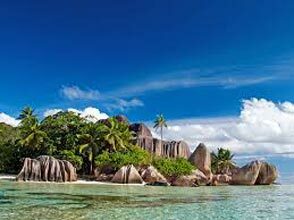 You can visit Natural History Museum, Moyenne Island, Morne Blanc etc. and can enjoy swimming. If you love adventure, you can try your hand at snorkeling and explore the underwater world. Spend a relaxed day. You can also visit the local market to get your hands on some wonderful souvenirs. Get on -time transfer to the airport to board the flight back home.